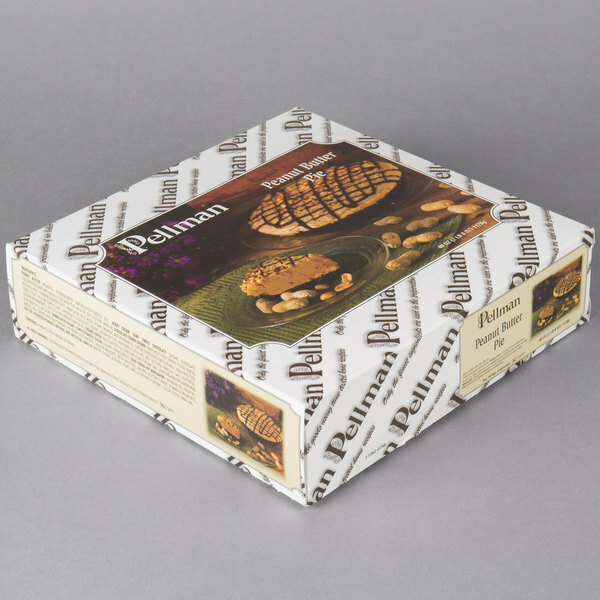 Serve up a decadently sweet dessert with this Pellman peanut butter pie. With the delightful taste of peanut butter, this pie is the perfect dessert for any patron looking for a sweet and creamy dessert. 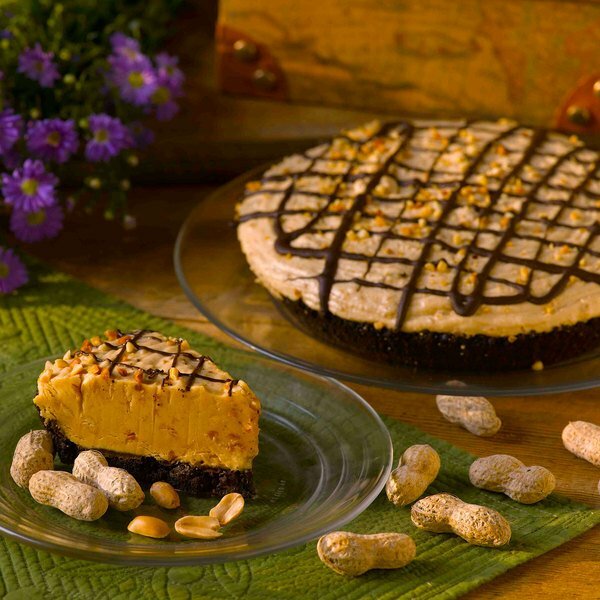 Each peanut butter pie comes on a chocolate crumb crust with a thin layer of dark chocolate between the crust and peanut butter. Additionally, the chocolate drizzle icing and peanuts on top draw your patrons' eyes to this pie. 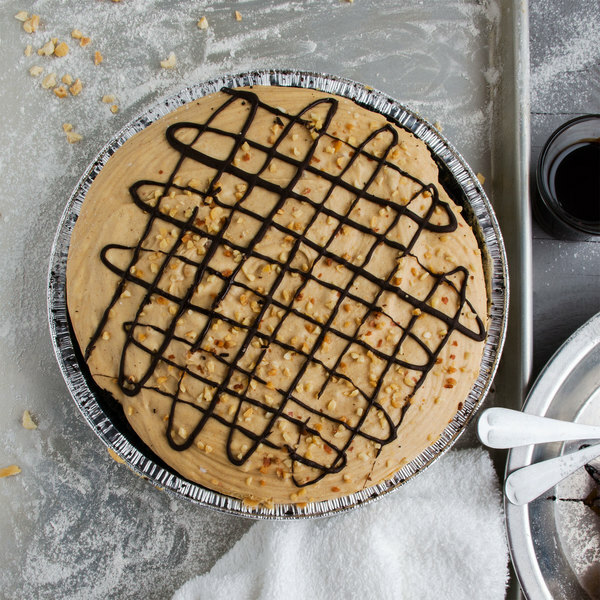 Best of all, this peanut butter pie is ready to serve right out of the box to save you time and money. Simply cut the pie to portion size and serve. End any dining experience with the ultimate capstone by serving this delicious pie! The perfect treat for peanut butter fans and has a light, creamy texture. 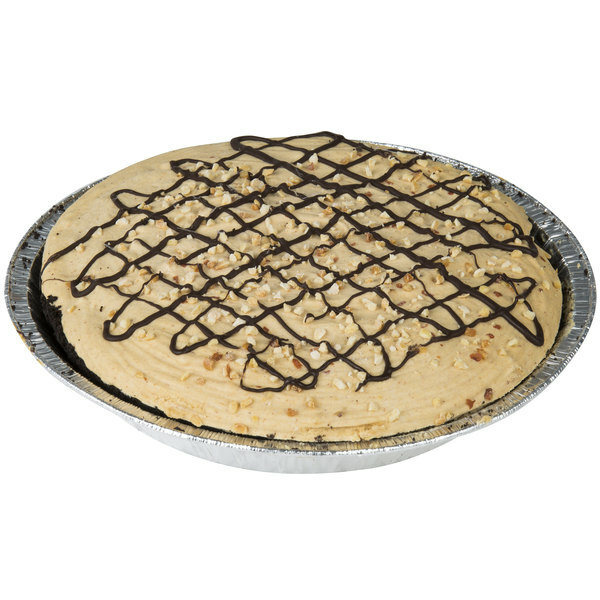 The peanut butter pie is so good and a top seller at our sweets shop. This pie is so popular at our shop! Such a rich and creamy peanut butter, and the crust is perfect. Not overly sweet, the absolute perfect blend of flavors. Yummy! Will be ordering again!